YuanBo is a professional manufacturer of wool felt in China mainland. Founded in 2003, we have twelve years experience of producing and exporting wool felt. Wool felt is a type of widely used material in both industrial applications and daily life applications. Wool felt has different production technology, main types of wool felt are needle punched wool felt and pressed wool felt. 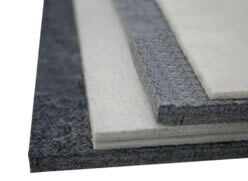 Pressed wool felt is widely used in industrial applications, such as wool felt polishing wheels and wool felt bobs. Needle punched wool felt with various colors is widely used in our daily life for decoration, protection and storage, such as wool felt sauna hat, wool felt storage bag, wool felt coasters and wool felt insoles. There is a type of wool felt balls which are made of 100% natural wool. They are widely used as wool felt dryer balls and various decoration balls. Wool felt is manufactured from natural wool, which is non-toxic, environmental and tasteless. 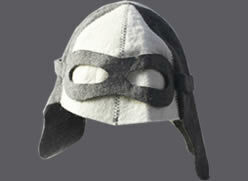 The natural wool felt products are suitable for all people ranging from babies to the old. 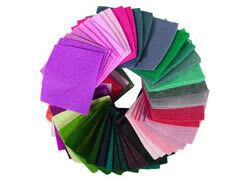 Various colors of wool felt are stained with advanced technology. Wool felt and related products are fading resistance and the bright colors can remain for a long time. Wool felt and related products are featured with fashion design, including the two-dimensional and three-dimensional designs and patterns. 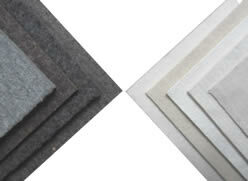 Wool felt has outstanding wear resistance which can make the industrial wool felt be long lasting. The bright colors and washable features ensure the daily life wool felts be durable. Wool felt is popular in industries and our daily life. It cannot only be used as the polishing material in the industry but also can supply protection and decoration for our life. If you are interested in our products and want to know more about the wool felt, you can contact us via ecosafe@woolfelts.com. We are looking forward to cooperating with you. Needle punched wool felt with natural materials and various colors is widely used in our daily life for decorative and functional application. Pressed wool felt is manufactured through a wet process to be used in industrial applications for polishing, sealing and furniture protection. Wool felt fabric with 100% wool and blend types has so many colors to be material of clothes, computer bags and home decorations. Wool felt sauna hat with multi-color, various styles and applique or embroidery decorations is used to protect head and hair from heating moisture. Here are the detailed process of DIY wool felt balls. Refer to it and do your own wool felt balls and related products.